The year 2013 turned out to be the “Year of the Beard” for the Boston Red Sox. They won the World Series with most of the regular players sporting thick, full facial bushy growths that became somewhat of a team trademark. Now 2014 could be considered a beard year in Japanese professional baseball with several players, foreigners and Japanese, going for the hairy cheek and chin look despite the searing summer heat and humidity. We could have a contest for the best looking ones with maybe three divisions: the full beard, stylish goatee and partially trimmed categories. Among the foreign players with beards are the current home run leaders in the Central and Pacific Leagues, Hiroshima Carp slugger Brad Eldred with what appears to be an extended goatee, and Orix Buffaloes fencebuster Wily Mo Pena with a wiry U-shaped growth. Two of the more recognizable looks belong to Hanshin Tigers players Matt Murton and Mauro Gomez, but how long will they last? Murton, playing his fifth season in Japan but the first one with a full-face red beard, said it is the thickest growth of facial hair he’s had in his life but was considering shaving it clean prior to the recent NPB All-Star series in which he appeared. “It is starting to get a little itchy,” he said a week prior to the All-Star break. “But I decided to ask the Tigers fans via Twitter for their opinions, and the overwhelming majority wanted me to keep it. Gomez, playing his first year in the stifling heat of the Osaka summer, might be shaving off his beard soon. “Maybe I’ll get rid of it after I hit my 20th home run,” he said. As of last Tuesday, he had hit 17 for the year. Other teammates with beards are Yakult Swallows relief pitchers Tony Barnette and Chris Carpenter. Barnette has one of the thickest growths in the country, while Carpenter keeps his neatly trimmed. Other foreign bearded bullpenners in Japan include Kam Mickolio of the Carp, Dennis Sarfate of the Fukuoka Softbank Hawks, Brian Falkenborg of the Tohoku Rakuten Golden Eagles, Zach Phillips of Hiroshima, Anthony Carter of the Hokkaido Nippon Ham Fighters and Randy Williams of the Seibu Lions. Williams, in his third year in Japan, was disappointed when new Lions manager Haruki Ihara issued a no-facial hair policy prior to the opening of spring training. Then Ihara stepped down in early June, and the ban was lifted under interim skipper Norio Tanabe. Asked then if he was going to regrow the chin hair he wore during his first two seasons, Williams said, “Look for me a month from now.” His goatee is back. There are several others wearing whiskers with varying degrees of stubble, and now more Japanese players have joined the no-shave club. Check out Hanshin pitchers Daiki Enokida and Minoru Iwata, Carp second baseman Ryosuke Kikuchi and Chunichi Dragons outfielder Atsushi Fujii and his teammate, the veteran Michihiro Ogasawara. 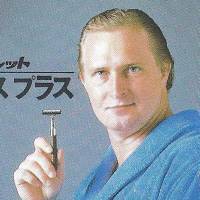 There was a time, though, when all the Japanese were clean-cut, and it was only the foreign players with beards. John Sipin, playing for the Taiyo Whales in the 1970s, had long hair, mutton chop sideburns and a lion’s mane look. The late Brad Lesley, playing for the Hankyu Braves in 1986-87, would not have been “Animal” without his full beard. Most memorable of all, though, is Randy Bass, the two-time Triple Crown winner with Hanshin in 1985-86. 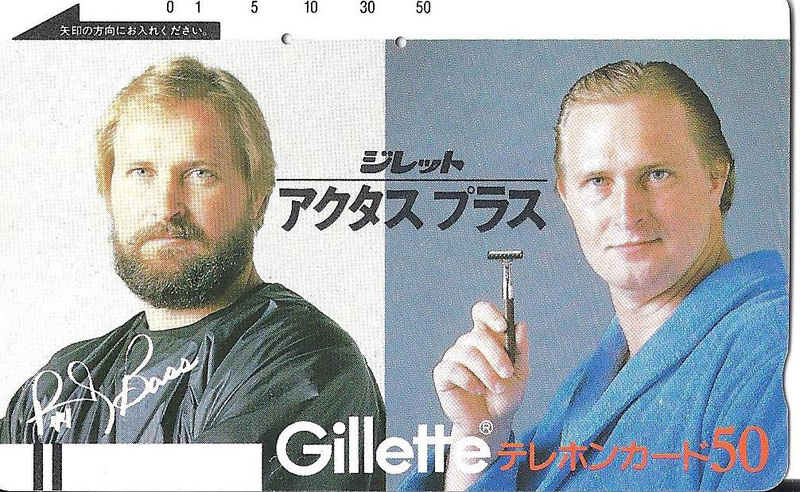 The bearded belter, after hitting 54 homers and leading the Tigers to a Japan Series title in ’85, shaved off his trademark bristles in a huge multi-million yen ad campaign for Gillette. The following day, there was his image again in all the papers, this time clean shaven. A few weeks later, the beard was back. In 39 years of covering Japanese baseball, I’ve never seen so many beards on players. From Chunichi pitching coach Denney Tomori to Seibu first baseman Ernesto Mejia to Hanshin pitcher Randy Messenger, there are beards everywhere you look, except for the Yomiuri Giants bench. Giants team policy prohibits facial hair on players, managers and coaches, but there is one guy in a Giants uniform with a full cotton-like white beard. He’s Giabbit Ojisan, the team’s grandfather mascot brought in to celebrate the club’s 80th anniversary this season. Maybe we could ask him to be the judge in our beard contest.